Los Boquerones were left frustrated and aggrieved after they were denied a victory, despite racking up a hatful of chances and having a goal from Juanmi incorrectly disallowed for the second week in a row. It seems somewhat futile to list all their chances in this one-sided encounter and readers would be much better advised to just watch the embedded highlights above, though if they are unable in your region, here follows a brief summary. Portuguese left-back Antunes had an early left-footed cross-shot that nearly caught out Jesús Fernández at the near post, but was just about parried out for a corner. Luis Alberto picked up a ball in the final third and drove a low right-footed strike from 25 yards out that was palmed wide by Fernández’s outstretched gloves. Roberto Rosales was played into the area on the right by Ricardo Horta and gained some considerable space by turning a defender and then having a close-range shot from a narrow angle with his less-favoured left foot that Fernández did well to get a hand on. This game was the best since arriving at Málaga for Rosales to demonstrate his attacking abilities, though his compatriot Juan Pablo Añor was left on the bench after making his debut last week. Continuing with the attempts, Luis Alberto received a short pass from Roque Santa Cruz just inside the area in a central position and crashed the top of the crossbar with a thunderous strike. Soon after, Ricardo Horta turned on the right just outside the area and hit a low left-footed attempt that was again palmed wide. Luis Alberto had yet another attempt before the end of the first half, cutting inside on the other angle of the penalty area, and hitting a testing right-footed shot that Fernández again made a low outstretched dive to palm wide. The second half saw more of the same, with Ignacio Camacho and later Roque Santa Cruz having good headed chances. The former was a free-header that went straight at the goalkeeper and the latter came from a knock-back 10 yards out that the Paraguayan will feel he should have at least got on target rather than heading a yard wide of the post. Other chances were missed, but it was Juanmi’s second disallowed goal in two games that will certainly be the memory most fans come away with. He received a strongly hit low cross from Rosales just inside the area on the right and rapidly turned to fire home yet, despite replays showing he was being played on, this goal was ruled offside. It was not until the 58th minute that both teams managed to register an attempt on target and though this encounter came gradually more to life as the final half-hour ticked down, ultimately neither side was able to make the breakthrough. Granada, missing Youssef El-Arabi up front, partnered last week’s promising debutant Success Isaac with summer-signing Alfredo Ortuño but, in the first half at least, were content to defend deep and soak up their opponents’ pressure – a common approach of sides managed by the experienced Joaquín Caparrós. Despite El Submarino Amarillo having nearly two-thirds of first-half possession, it was the home side who had the best opportunity and, rare for them, the source of this was not a cross or set-piece from Fran Rico. Indeed, the former Real Madrid reserve was to swing in many testing balls but this particular chance was a cross from captain Piti after less than three minutes that the young Isaac should have made a firmer connection with, but he instead saw his header go meekly wide of the far post. This miss may have contributed to Isaac’s slightly surprising half-time substitution, as he was replaced by Venezuela’s very own Darwin Machís who was to gradually come more into the game and contributed to some decent chances for his side. The second half’s comparative chance-fest began on 53 minutes when Villarreal’s Brazilian defender Gabriel Paulista got his side’s first effort on target, heading powerfully from the penalty spot to cause a spectacular, if comfortable, tip over the bar from Roberto. Granada evened up the chances column five minutes later after the French-born Cameroonian Allan Nyom – who was to grow more into the game, putting in a few notable crosses – curled a ball just inside the area that Ortuño sneaked a head onto, though his position made it difficult for it to be anything other than a comfortable save for Asenjo. This seemed to galvanise Granada’s confidence when going forwards as a couple of minutes later, Machís ran up the left towards the area, though as Rubén Rochina’s poor movement failed to provide an option for him, the Venezuelan ran into trouble. Attempting to win the ball back, he committed a rash foul on Mateo Musaccio that could well have resulted in a red card on another day, though mercifully the colour of the card the referee brandished here was yellow. Just a minute later, Machís dusted himself off and nearly got onto the end of another dipping Nyom cross from the right. The former Mineros man attempted to strike this on the the volley from the edge of the area, but unfortunately was unable to make a genuine connection with the ball. Despite Granada enjoying greater possession in the final third, they nearly gifted Villarreal a goal on 71 minutes when Jean-Sylvain Babin passed back to goalkeeper Roberto who made a complete hash of his clearance, scuffing it up into the air rendering him unaware of where it was heading as it spiralled back down. Substitute Denis Cheryshev nearly profited from this error, charging forwards to pounce though his stabbed challenge/shot narrowly missed the target and caused Roberto to attempted to cover his embarrassment by fuming at the Russian for the manner in which he attempted to gain an advantage. Five minutes later, Machís had his best moment of the game, taking on Mario Gaspar on the left and running past him into the area where he put in a testing low cross that Asenjo could not get two hands on. Consequently, the ball bobbled in the goalmouth area and the 17 year-old debutant Adrián Marín just about managed to come over from his position on the left of defence to clear before any onrushing attackers could nudge the ball home. In the last five minutes, though the Villarreal threat was still always there, the home side managed to get a few more decent chances on goal. Firstly, on 85 minutes, Colombian forward Jhon Córdoba – who had only just come on to make his debut and whose goal record and reputation does suggest there is something of the Emile Heskey about him – did well to gain some space from Paulista in the area to fire a hard shot from an angle that was parried for a corner. Soon after, Fran Rico – possibly tired of team-mates not getting on the end of his balls, possibly mishitting the cross – dipped a set-piece on the left 40 yards out with his right foot that curled high and nearly caught out Asenjo who had no choice but to tip it over. Subsequently, and finally, Rico then trotted over to the corner spot and crossed in an outswinger that Colombian defender Jeison Murillo, in space just eight yards out, headed powerfully but much too close to Asenjo, who gratefully caught it as the game ended goalless. 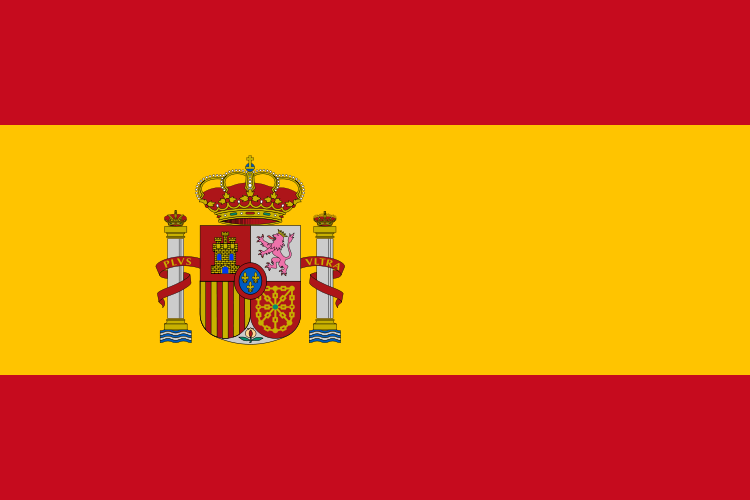 This entry was posted in Spain, Venezuelans Abroad and tagged Darwin Machís, Europe, Juan Pablo Añor, Roberto Rosales, Spain on September 20, 2014 by hispanospherical.